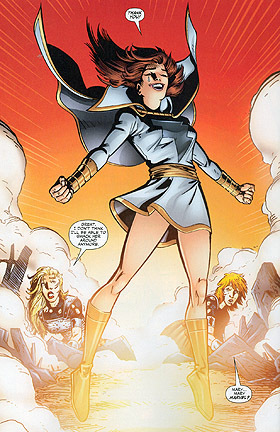 Origin: Mary Batson was separated from her big brother Billy when Theo Adam killed their parents. She was adopted by Nick and Nora Bromfield, a wealthy couple on the outskirts of Fawcett City. Then one day the pooka Tawky Tawny tells her to say the magic word "Shazam." 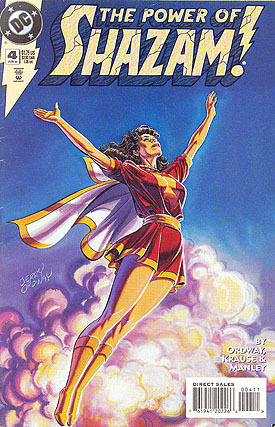 She then gains a share of the power the old wizard gave to Billly to become Captain Marvel.